Morocco meeting to adopt UN migration pact despite withdrawals - SABC News - Breaking news, special reports, world, business, sport coverage of all South African current events. Africa's news leader. Rows over the accord have erupted in several European Union nations, threatening to tear apart Belgium’s coalition government and pushing Slovakia’s foreign minister to tender his resignation. 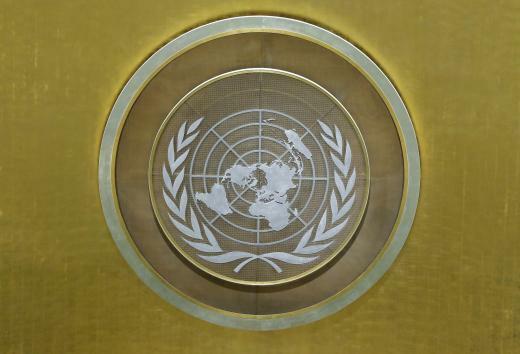 “I am very confident: a large number of states continue to keep their word, they reached agreement on July 13 in New York after very serious and very intense negotiations,” UN special representative for migration Louise Arbour told AFP. The global pact lays out 23 objectives to open up legal migration and better manage the influx as the number of people on the move worldwide has increased to over 250 million, or just over three percent of the world’s population. Gotz Schmidt-Bremme, head of the UN initiative Global Forum on Migration and Development, admitted that the accord had become a “controversial text”, but insisted a common approach was needed. “Maybe the benefits of legal migration were over-emphasised and we forgot about the challenges… we underestimated the need of communities that above all want to see migrants integrate,” he told AFP. “We are witnessing from some political sectors the manipulation, the distortion of the objectives of the pact,” said Antonio Vitorino, head of the International Organization for Migration. The leaders of Germany, Spain, Greece and Portugal are set to attend the conference, while French President Emmanuel Macron is sending a junior minister as he deals with the “yellow vest” protests at home. Belgium’s liberal premier Charles Michel won the support of parliament to head to Morocco and back the accord, but his coalition risks losing the backing of a key Flemish nationalist party over the issue. In Europe, anti-immigrant sentiment helped push a populist coalition to power in Italy that has clamped down on boats rescuing migrants at sea and Hungary’s premier Viktor Orban has pushed restrictive legislation. This entry was posted on 07 Dec 2018,09:33AM at 9:33 AM and is filed under Africa. You can follow any responses to this entry through the RSS 2.0 feed. Both comments and pings are currently closed.